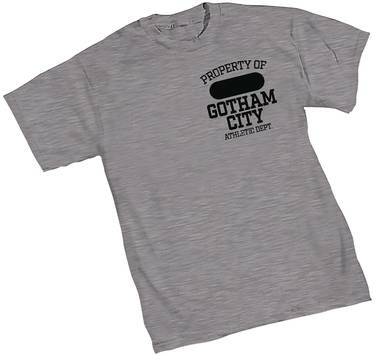 Gotham-attire hits the streets with the new Gotham City Athletic Dept. Hoodie and T-Shirt. Both feature a black imprint on oxford grey garment. If it's good enough for Cyborg, who can argue? NOW AVAILABLE for sale in Canada and U.K..